“For as long as I can remember,” Henry Hill tells us, “I always wanted to be a gangster.” And so it begins, Martin Scorsese’s iconic gangster film, Goodfellas (1990). From Joe Pesci’s Tommy DeVito, demanding to know if he is “funny like I'm a clown,” to the single take of Henry and Karen walking through the Copacabana Club, Goodfellas is a masterwork of cinema, packed with memorable moments. Now, 25 years after its release, filmgoers at the Tribeca Film Festival were offered a special chance to revisit the movie on the big screen and hear from some of its cast members. The festival closed with a Goodfellas retrospective showcase. Indiezone.TV chatted with the stars who came to relive their work in the classic film. We started by asking Ray Liotta, who portrayed Hill, what it was like to be directed by Scorsese. And what about that scene with Pesci? 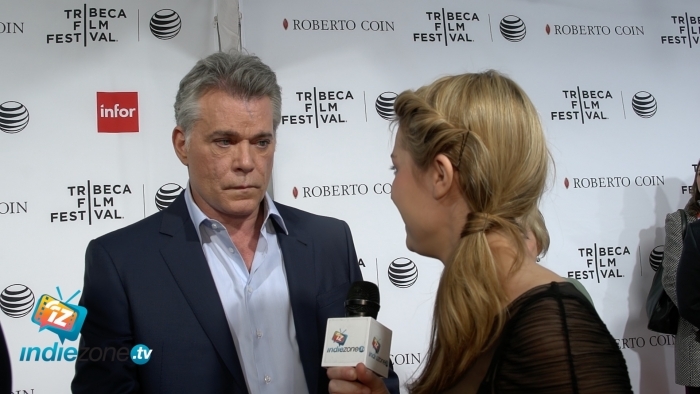 “It was a blast doing ‘you’re a funny guy’ with Joe,” Liotta reminisced. As these interviews attest, Goodfellas has earned its designation as one of the Library of Congress’s culturally significant films. That’s about as close as a movie can get to being a made man, the life its characters always aspired to.